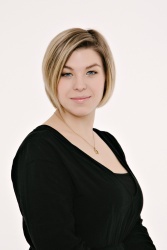 Christine Matauschek is a student, working part time at Fresh Thoughts supporting the consulting and event team. Christine is a native German Speaker, fluent in English and has basic knowledge in Spanish. Trained in the hotel sector she is currently studying Environment and Bio-Resources Management at the University of Natural Resources and Life Sciences in Vienna since 2012.